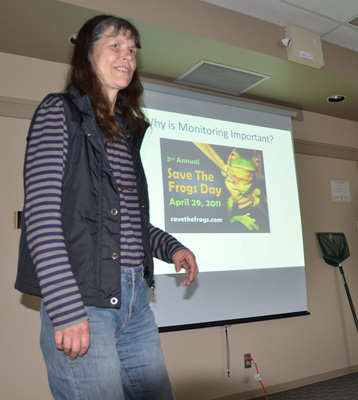 The Nicola Naturalist Society held its first amphibian monitoring workshop on Saturday 14 May 2011 at the Merritt Civic Centre. A team of biologists from Biolinx Environmental Research Ltd. in Victoria (Dr. Kristiina Ovaska, Lennart Sopuck and Christian Engelstoft) gave a presentation and training session with 26 adults and children attending. 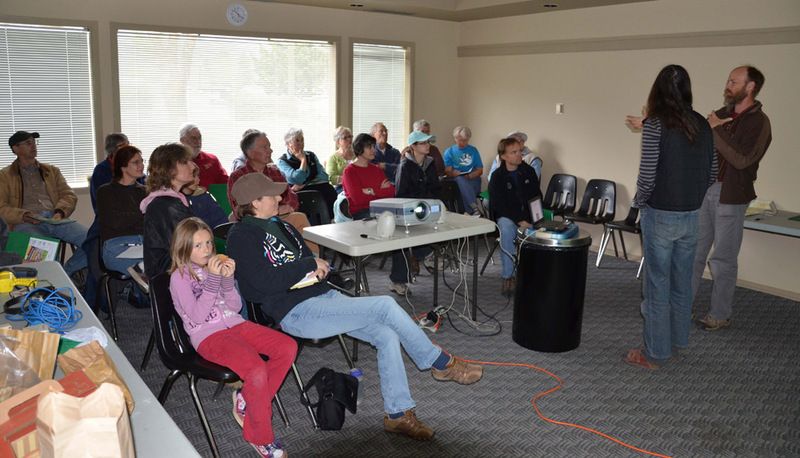 The rationale for long-term monitoring was explained, monitoring methods were outlined and Merritt naturalists learned to identify the species in our area – Western Toads, Spadefoots, Columbia Spotted Frogs and Pacific Chorus (or Tree) Frogs, as well as the Long-toed Salamander. In the afternoon we put theory into practice and headed up to the Kane Valley lakes to look for frogs. 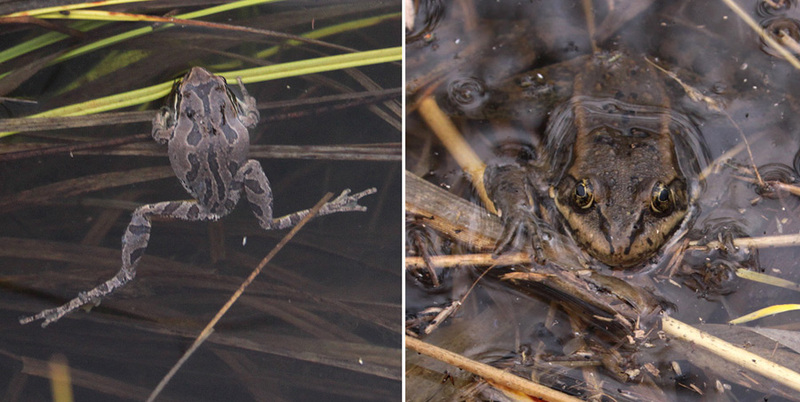 The first few lakes drew blanks but at Harrison Lake we found three species of frogs in various stages of breeding. 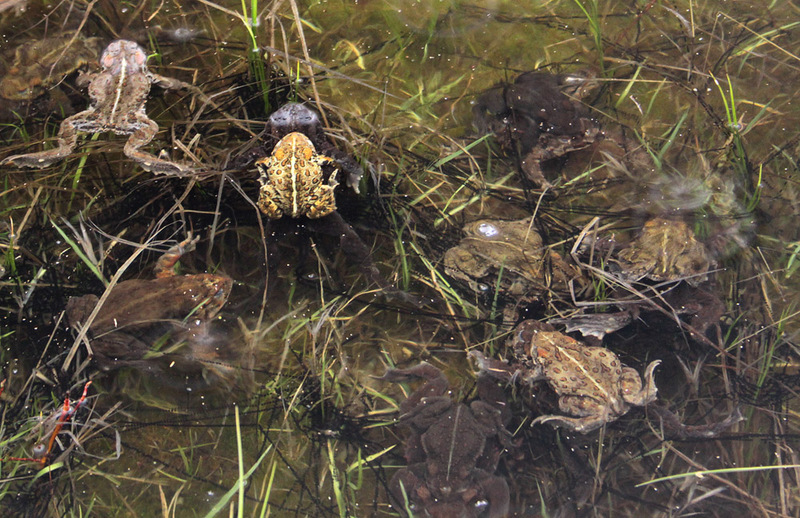 The main attraction was two large groups of Western Toads in full breeding mode in the lake shallows. The smaller males sit on top of the females and fertilize the eggs as they are being released into the water. Each female lays hundreds of eggs in long dark strings which will hatch into tadpoles in 1-2 weeks and change into toadlets by late summer. Masses of these toadlets are often seen leaving lakes to begin their life on land. With some more diligent searching we also found a few Pacific Chorus Frogs (formerly known as the Pacific Tree Frog) and Columbia Spotted Frogs. The Chorus Frogs are responsible for the raucous “ribbet-ribbet” non-stop calling that fills the spring nights near any wetland. The Spotted Frogs are more secretive and often call underwater to attract mates. Spotted Frogs females often spawn in large communal egg masses which may end up larger than a basketball. We found a few smaller versions of these egg masses in our searches. Over three nights during their May visit, the Biolinx team also tested out night-time call surveys in the grasslands around Merritt. 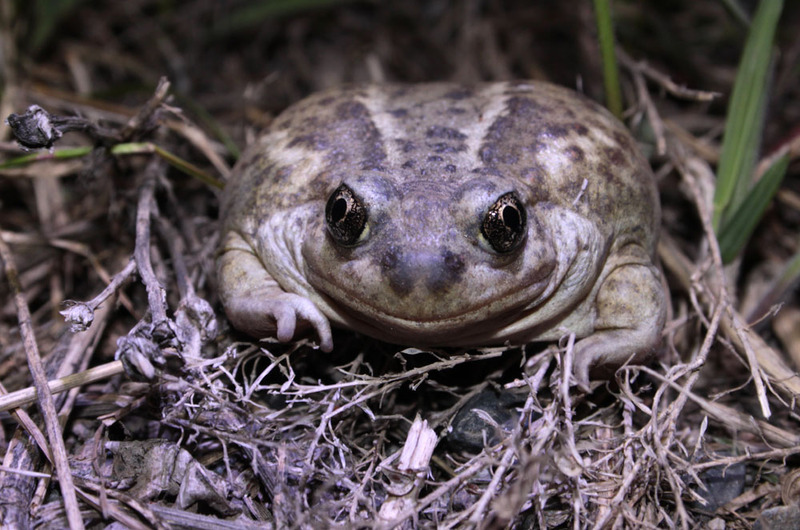 The main goal was to document the locations and relative abundance of the elusive Great Basin Spadefoot – a frog specialized for the grasslands and sagebrush which gets its name from the hard protrusion on its foot which it uses to bury itself in the sandy soil. Spadefoots were indeed located on 14-16 May on several roads in the Quilchena and Douglas Lake grasslands. These are important site locations for this threatened species in British Columbia. Call surveys will be used to keep track of the seasonality and abundance at these locations. The Spadefoot’s harsh snoring calls are loud and distinctive. If anyone in the Merritt area is interested in joining the project activities or would like us to visit your pond you’re welcome to contact the project’s Volunteer Coordinator, Andrea Lawrence, at the project’s e-mail: nicola.amphibians@gmail.com. 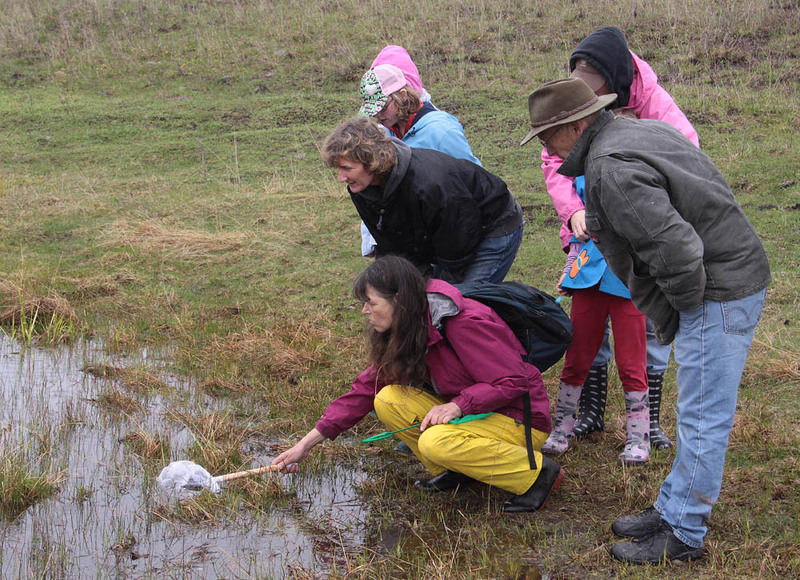 Click here for more photos of the May amphibian workshop. This entry was posted in Features, Past meetings, Projects, Uncategorized. Bookmark the permalink.